This went live last week but I forgot to post it anywhere but Facebook. Hey, follow CNQ on Facebook. This is a short one, a little over 30 minutes. Episode 11 features Spanish bubblegum, Caribbean dance music, Puerto Rican punk, Japanese weirdo-rock, more punk from Phoenix and Amsterdam, and I round it out with a Lomax recorded chain gang song. For the other ten CNQ podcasts in the bag, you can click the Podcast label buried somewhere in the sidebar over to your right on the web version of this blog, or, you can go to cleannicequiet.libsyn.com and see all the 'casts by themselves. After you get fed up with my amateur attempt as podcast jockey, go check out a pro -- the latest freeformfreakout podcast (#77) is rad. 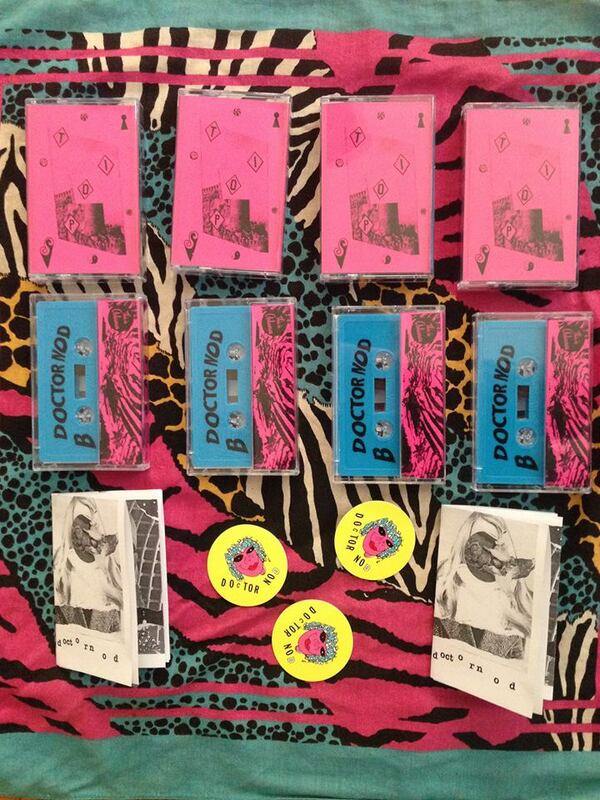 It also happens to features "Watch Out," off Dr. Nod's new Top Tips cassette! Which, in case you didn't know, is CNQ's first release, and you can purchase it here on the blog (see sidebar to the right on the web version), or the Dr. Nod bandcamp page.